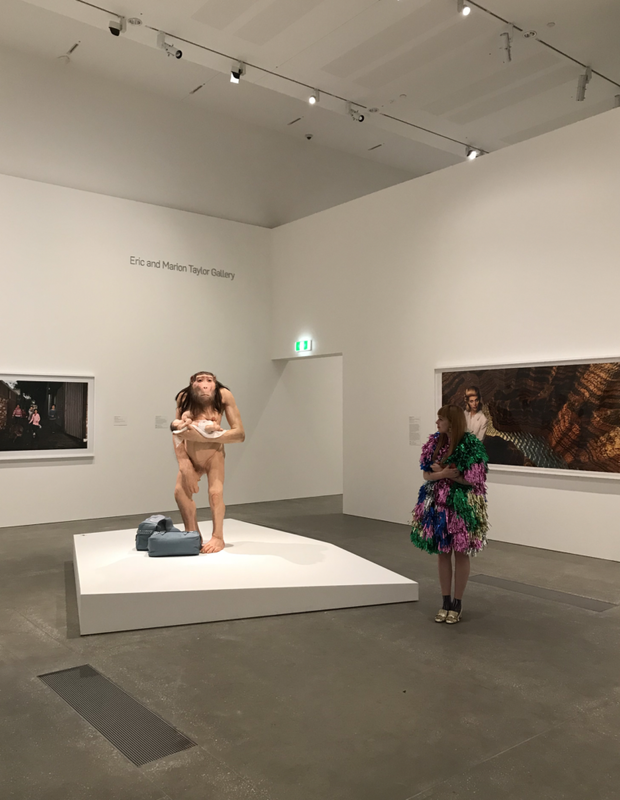 Last Friday night was the opening of the Patricia Piccinini show at QAGOMA and boy oh boy was I in for a treat of an evening! What is not to love about an arty party? 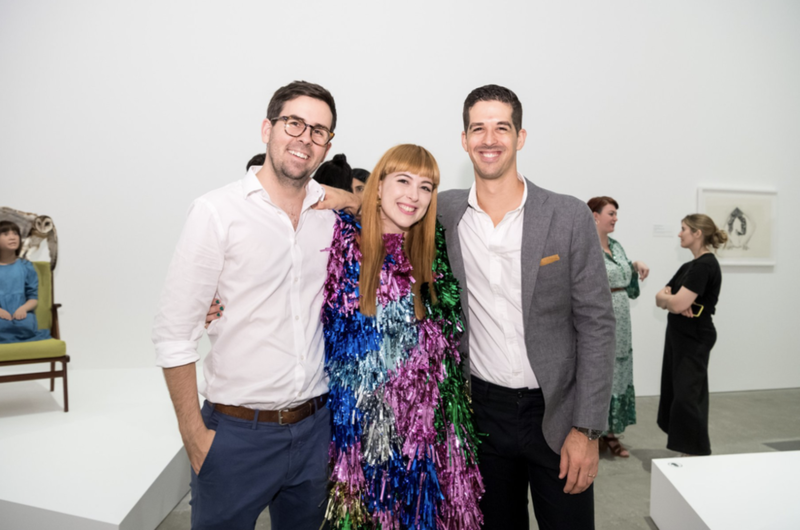 I honestly get SO excited about these GOMA shindigs, as I know I always know I'm going to have an A+ time. Familiar faces, unforgettable art, tasty snacks...what's not to love? I must say though, this show/opening has to be one of my favs EVER. Patricia's opening speech was so incredibly moving and inspiring. With her children under each arm as she spoke, she shared the core message of the show and challenged us all to try and view the subjects of the exhibit with love instead of horror. Gosh, describing her words/presence really doesn't do her any justice...but believe me...she was fab, and it really was amazing to hear just before strolling into the exhibition and absorbing all her works. The show itself was truly amazing. The pieces and creatures made me gasp, laugh, and furrow my brow in deep thought and consideration...because they really were so interesting and thought provoking. I also made myself a fairly subtle tinsel dress for the evening. The only issue was, when I put it on, I accidentally popped a stitch in the hem...and as a result bits of tinsel kept falling out of me all evening. It was veryyyyyy awkies and in fact you can see a small piece of tinsel to the right of me in this very image. I tried my best to hoover up all my sheds (including the piece photographed here) but I will definitely be needing to find and repair that little stitch-issue to prevent me from being a shiny Hansel and Gretal in the future. The above was one of my favourite pieces from the show. DJ's for the evening Patience and Seja let me deck them out in tinsel. If you find yourself in Brissy, or are planning a little trip to this neck of the woods, do yourself a favour and stop by GOMA to go to this show. It really is unforgettable.